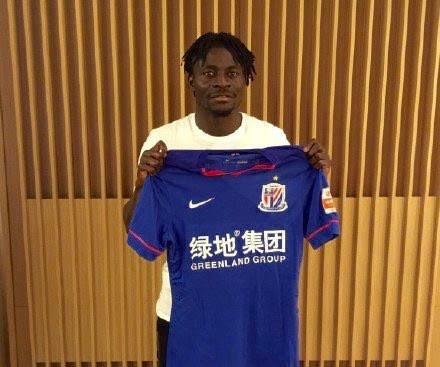 Obafemi Martins nets $6.2m pay at new Shanghai Shenhua club China. Obafemi Martins Shanghai Shenhua China. U.S.A to Shanghai Shenhua of China will reportedly earn $6.6 million per year after tax at his new chinese club. Martins was on $3 million a year at Major League Soccer side Seattle Sounders, but after he has paid tax, he took home about $2 million. And now according to Steven Goff of the Washington Post , the Nigerian who scored 40 goals and 23 assists in three seasons with the Sounders will earn a mouth-watering $6.6million annually more than double of what he was earning while playing in America. Martins has already joined his new club, which will open the Super League season March 5. He has played for Inter Milan (Italy), Levante (Spain), Wolfsburg (Germany), Newcastle United, Birmingham City (England) and Rubin Kazan (Russia).